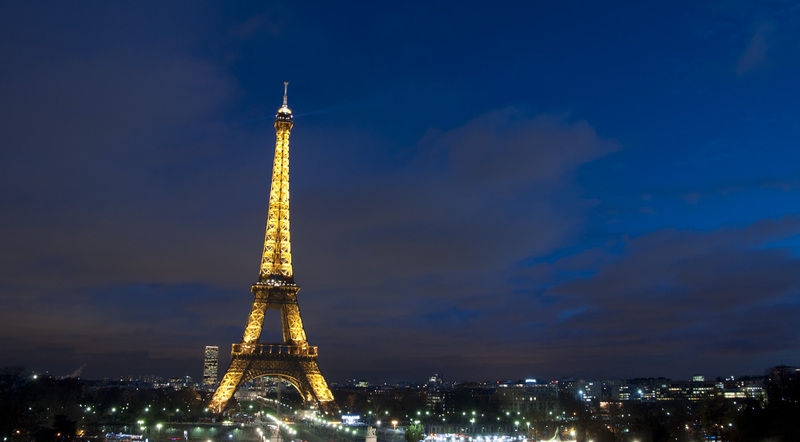 With the entire world descending on a city for two weeks, it’s easy to make excuses to not attend the Olympics: snarled traffic, inflated hotel prices, crowds… If you find yourself with the opportunity to make a last minute decision, here’s what you can do. Step 1 – Try to find alternative accommodations. Assuming the hotels were clogged with overpaying tourists, Kristi and I surfed several websites where Londoners offered their apartments for rent. Despite having the technical capacity to match available apartments with our travel dates, each booking required approval from the owner. Ultimately it took 24-48 hours for half of London apartment owners to deny each of our requests. Step 2 – Give up on alternative accommodations. Use Priceline. Book a room at the Hilton overlooking the Thames for just over a hundred bucks a night. Breathe a huge sigh of relief that you won’t have to seek shelter from the drippy English skies by huddling in a red phone booth. Step 3 – Buy tickets to an event. Any event. Don’t let your mood be dampened by every Londoner with a pulse—cabbies, bartenders, waitresses, random grandmothers—who says that buying tickets is an exercise in futility. It was a challenge to find one Londoner who actually scored tickets to an event in their home city. Despite the negative prognosis, our mood was buoyed by the rumor that batches of tickets were being released every day at 9am and 11pm. We checked frequently every day and, each time, felt the elation of victory as we came tantalizingly close to purchasing tickets followed quickly by the sting of defeat as the website returned the same cold response: “there are no tickets available for this event.” We received this prompt after every stage of the purchase process: after clicking on the event listed on a page called ‘Available Tickets’; after selecting the number of tickets to purchase; after waiting for 15 minutes (yes a quarter of an hour) for the system to check an unknown, and apparently distant, database; after adding the available tickets to our shopping cart; and even after inputting our credit card information and clicking “Purchase.” After 20+ failed attempts, I yearned for the relative sophistication of the Ticketmaster website, words I swore never to speak. Step 4 – Give up on purchasing tickets. Attend any free event. 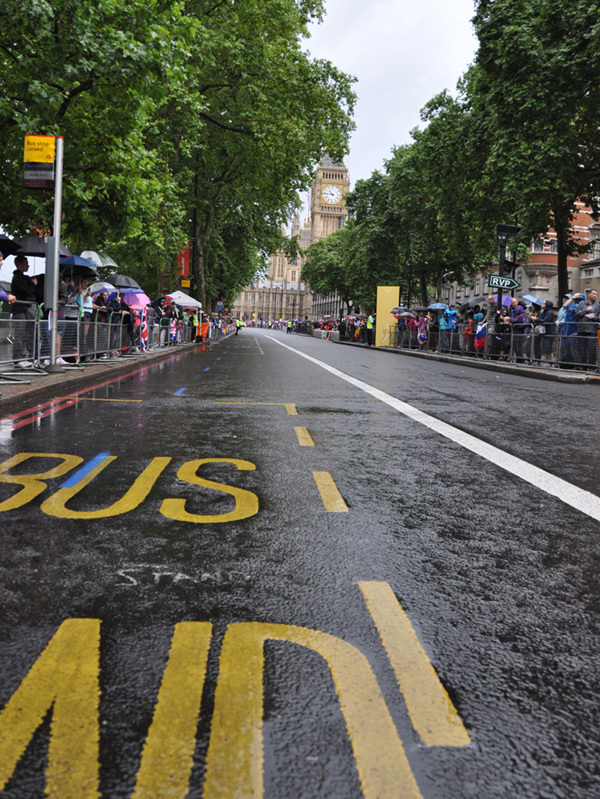 Events like triathlons and marathons require lots of space and are ultimately difficult to control access to. 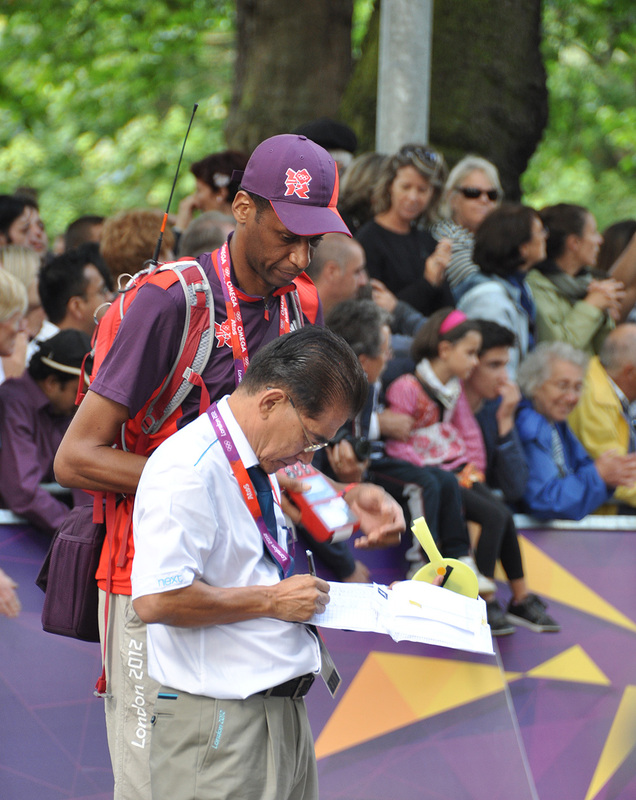 Over our three-day stay we attended the women’s Triathlon, women’s Marathon, and men’s 20km Race Walk. 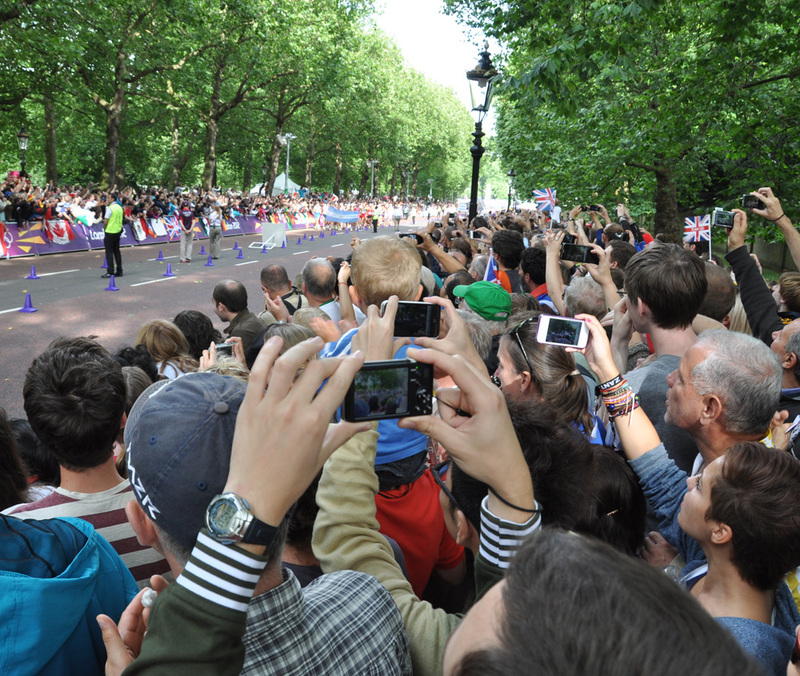 The Race Walk course looped past Buckingham Palace and was lined with thousands people drawn together by the sunny weather, Olympic spirit, and the desire to figure out what the eff race walking entails. 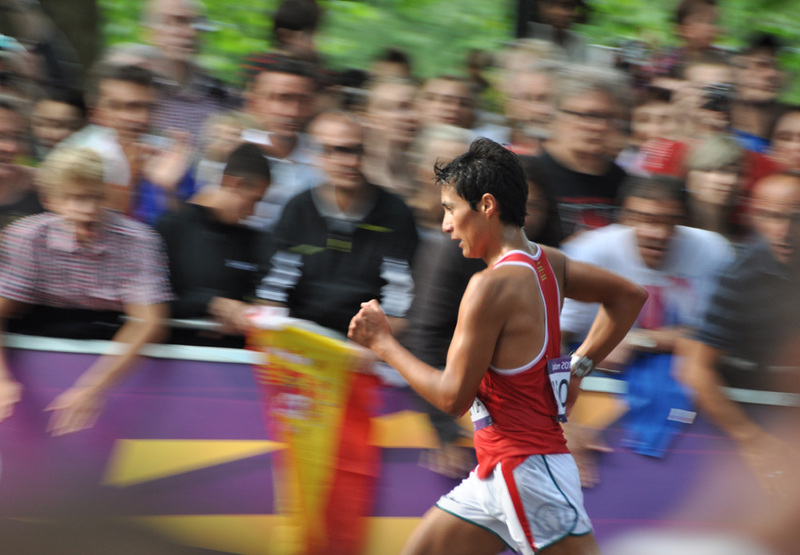 I’ve seen videos and caught a glimpse during the 2008 Beijing Olympics: the comically fluid hips, limp arms, and the overwhelming urge to yell “just frickin’ run already!” make it hard to take the sport seriously. 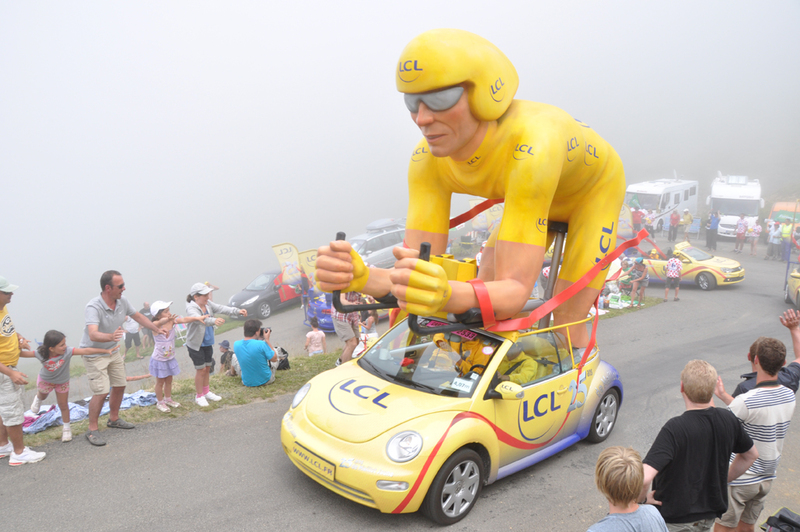 And when the pack rounded turn one in front us, a wave of amused disbelief swept through the crowd: they looked ridiculous … and they were going bloody fast. 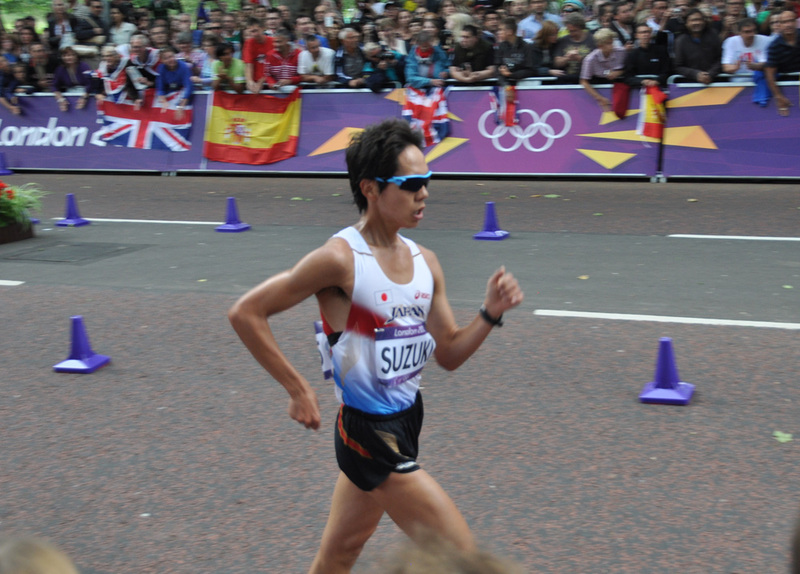 20km Men’s Race Walk rounding the first corner, with Japan’s Yusuke Suzuki in the lead. One foot must be in contact with ground at all times. The front leg must be straight when it touches the ground, and continue to be straight as it passes under the body. 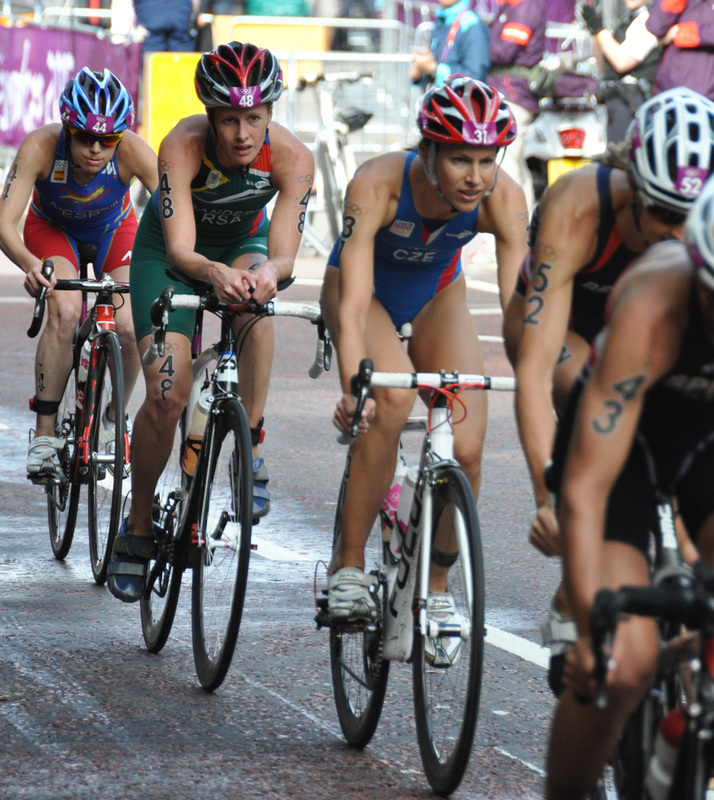 If a course judge–with the naked eye–determines that a racer doesn’t have a foot on the ground (i.e. “loss of contact”) or their forward leg isn’t straight, the racer will receive a warning in the form of a yellow paddle. Violations are radioed in to a central judge who posts the tally on a leaderboard where racers can check their status on each lap. The third violation will come in the form of a red paddle, signaling their disqualification from the race. 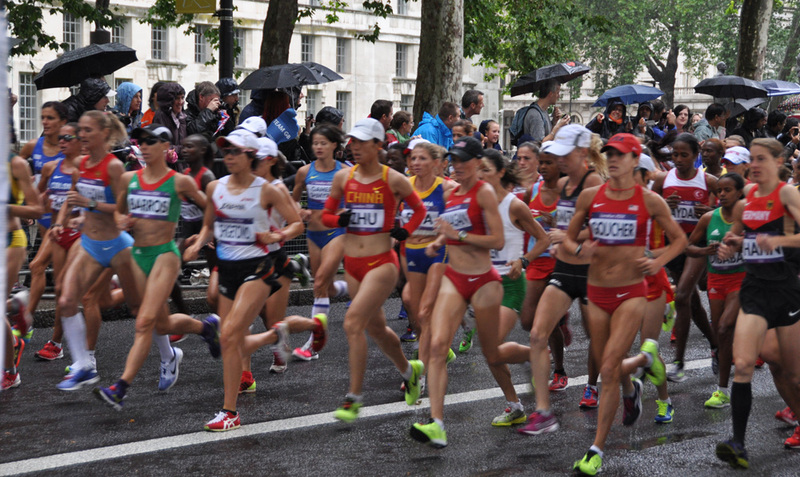 The rules of race walking shortens racers strides, thus, in order to achieve higher speeds, race walkers attain cadence rates similar to 400 meter runners … that they maintain for the hours it takes to “run” 31 miles (50km). And for the runners out there, the winner of the Men’s 20km—Chinese race walker Ding Chen—averaged a 6:20 mile (the winner of the 50k was just under 7 minutes). Turned out Canadian sprinter Donovan Bailey, who broke the 100m world record in Atlanta in 1996 (an Olympic record that would stand until Usain Bolt), was staying in our hotel. After befriending a couple inebriated Canadian Scotsmen, my friend Mike and I found ourselves at the table with Donovan—now a sportscaster for CBC—sharing beers until 4:30am. Drinking British pints with a Jamaican-born gold medal sprinter, the father of the current world record holder for speed skating, and a Scottish doctor for the Canadian Olympic team: if that doesn’t embody the Olympic spirit, I don’t know what does. 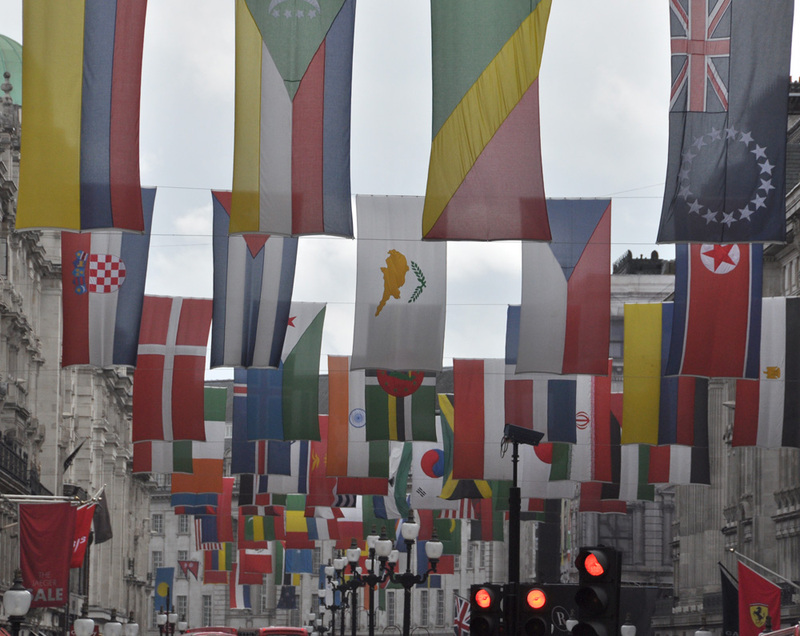 Flag of the world draping Regent Street, south of Oxford Circus. Marathon course after a heavy rain. Big Ben in the background. 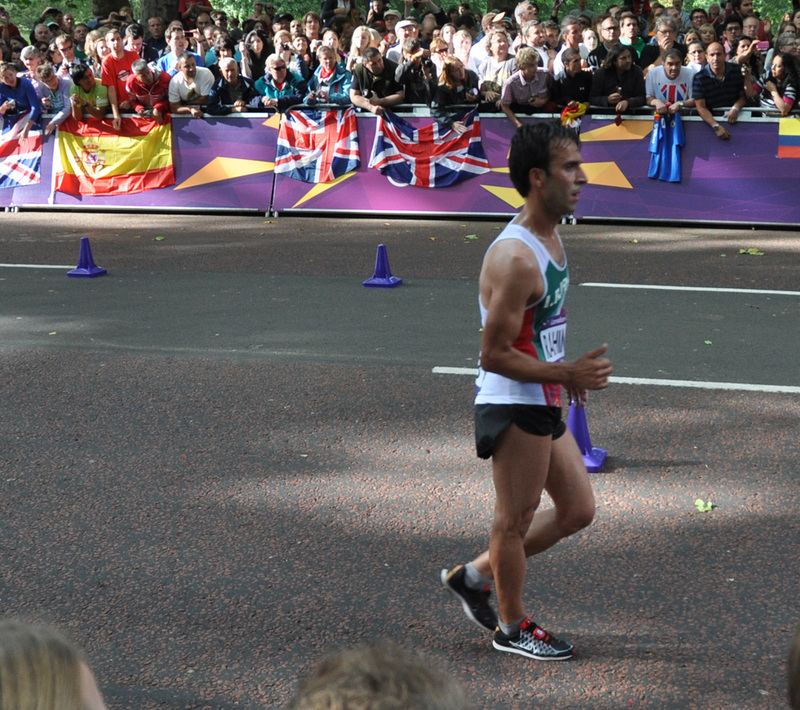 Excitement builds as the Men’s 20km Race Walk approaches on their first lap. 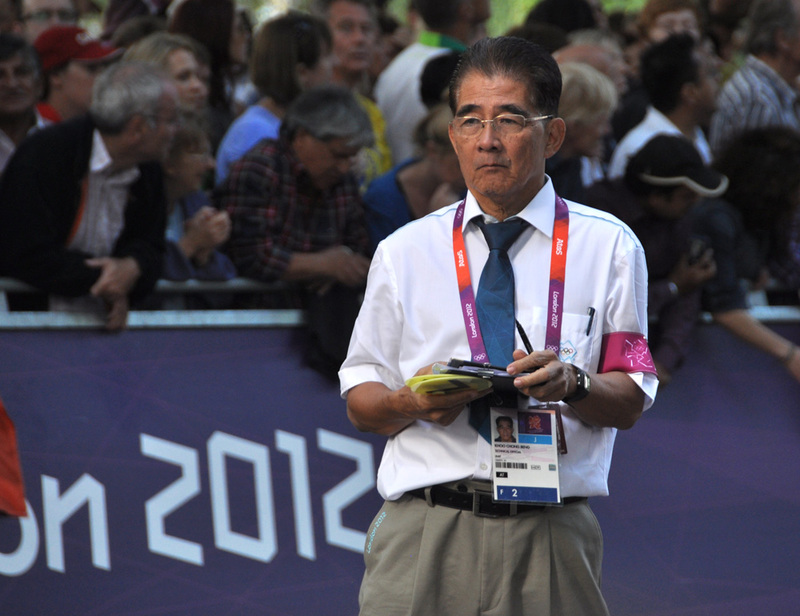 Race Walking Judge keeping an eye on racer’s form. Note the yellow paddles. Judge working with radio operator to report violations to be displayed on leaderboard. 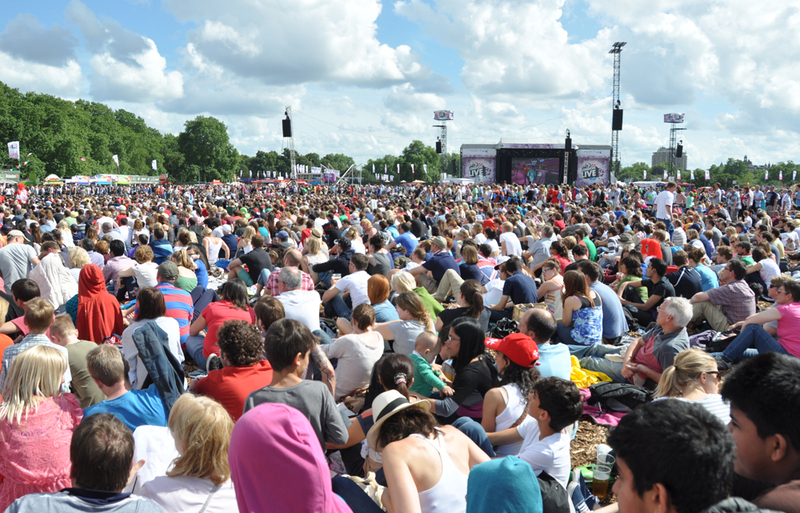 Crowd gathered at London’s Hyde Park to watch Andy Murray win gold in tennis. 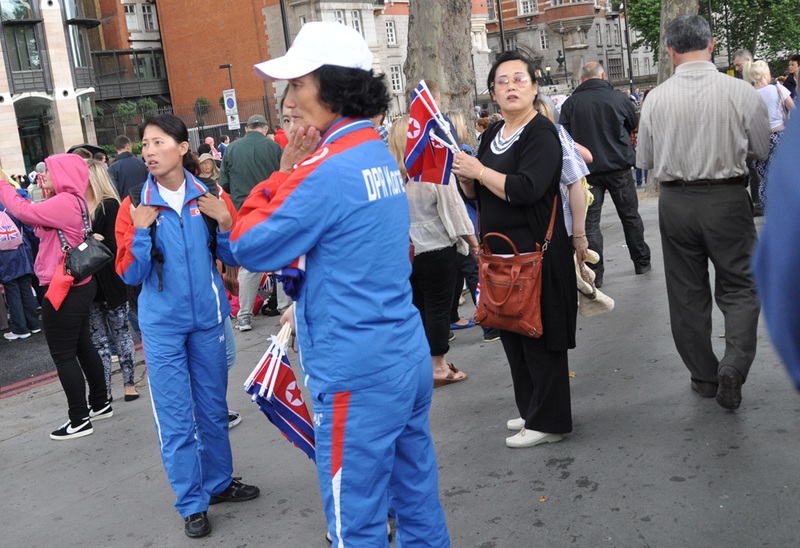 North Korean fans gathering for Women’s marathon. Never before have I wanted to know how to speak Korean so badly. Love it! Flock somewhere else and write about it. Hope you, the misses and Mike had a blast. I wish I could’ve fit in your suitcase. This is so great! Thanks Adam for some of the inside scoop! I watched an amazing number of events on the television and my iPhone! bits and pieces but just totally amazing!